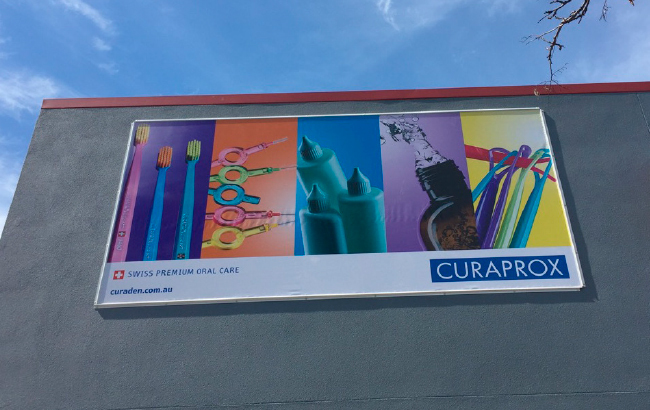 Our favourite dental product client, Curaden, recently updated their office and warehouse. To complete the look we helped them design, produce and install some eye-catching banners on the outside of their building and also a sturdy sign in their front garden to make it clear where deliveries were to occur. 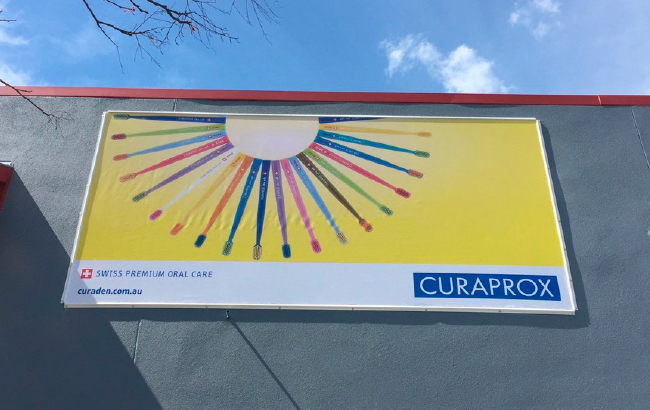 The two banners are attached to their wall utilising a cost-effective tracking system, which also means they can be easily replaced in the future by simply sliding the old banner off the tracking and reinstalling a new one. 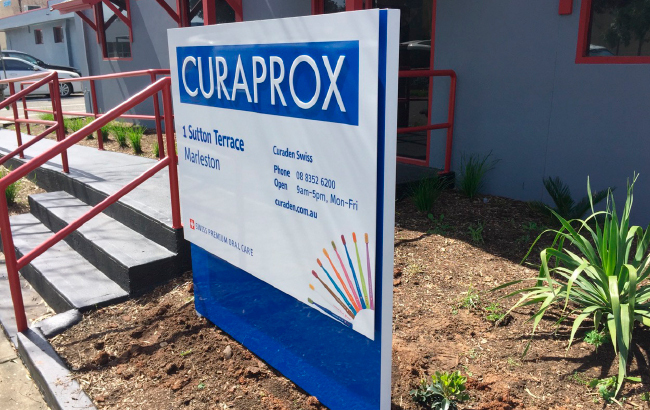 Curaden were particularly concerned about graffiti on their garden sign so we also made sure to install an anti-graffiti film over this sign.